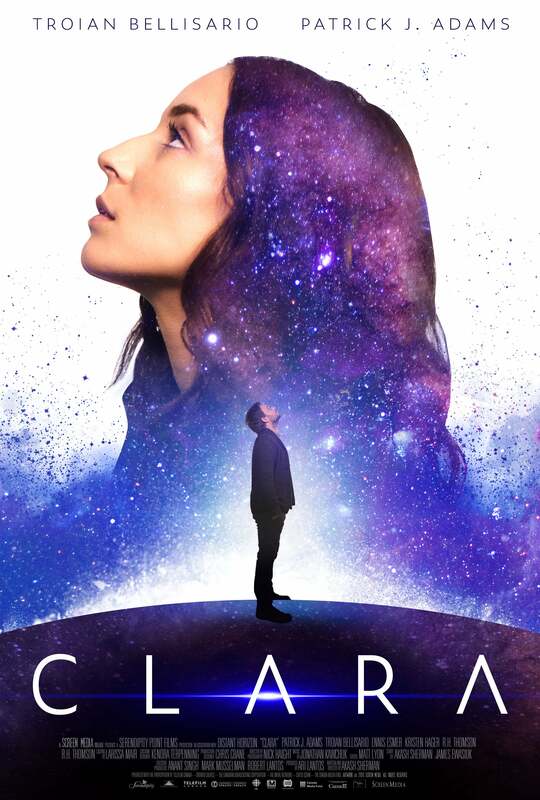 In Clara, real-life couple Patrick J. Adams and Troian Bellisario (who gave birth to their first child last year) play an astronomer obsessed with proving there is life beyond Earth and an artist who proves to be the key to a profound astronomical discovery -- and perhaps something even deeper. "I've wondered almost every single day of my life what else could be other there. Haven't you?" Clara (Bellisario) says in the trailer, debuting on ET. The sci-fi romance, from writer-director Akash Sherman (The Rocket List), is in theaters and available On Demand on May 3. Check out the exclusive poster for Clara below.